Constantly forgetting a few errands? What you need is an effective checklist! A person’s mind can only remember four to seven items at a time. If you are planning a social event or running an important errand, you can’t just rely on the limited capacity of your brain. Hence, you should make your own checklist. 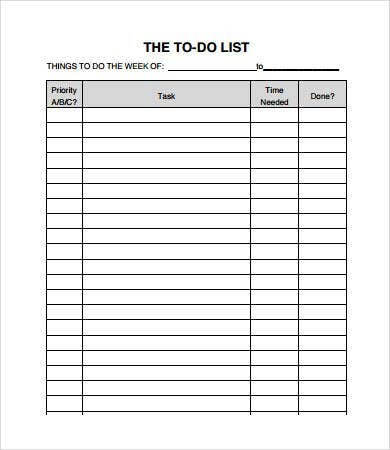 A checklist can have a number of purposes. And once you identify what it is for, you can start putting in the contents. 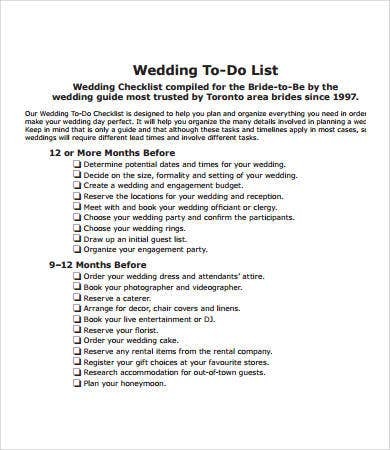 In this page, we offer a wide-ranging types of checklist templates for you to cater different occasions. 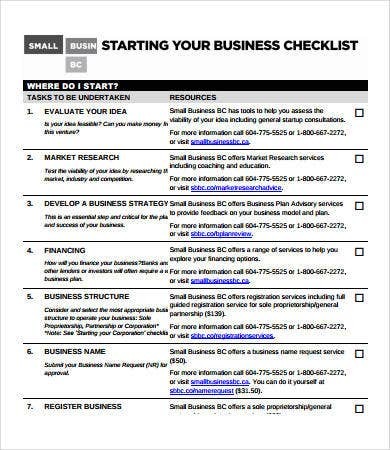 With any of these templates, you can get formal, creative, and well-formatted checklists. Task checklist. 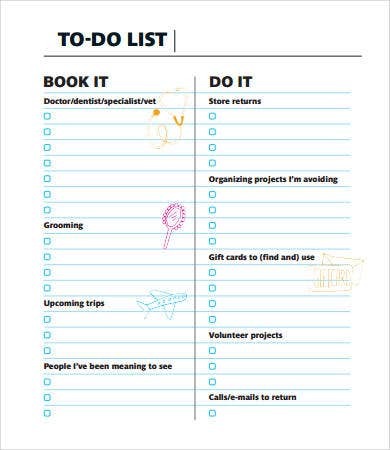 A task checklist shows a set of tasks needed to be achieved. 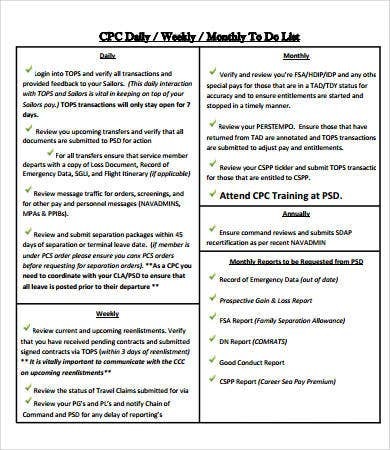 We have a few in store you could check and download from our task checklist templates resource. Coordination checklist. This is used when collaborating with other parties for a project. Troubleshooting checklist. These are instructions used to resolve issues to maximize success. Discipline checklist. This can done in a word checklist to help you avoid making bad decisions during stressful moments. Check out our word checklist templates resource to help you get organized in critical situations. To-do checklist. These are time-sensitive tasks that are more personal compared to other types. Identify the purpose and objectives of your checklist. Every item should be relevant. Items must have corresponding actions. Rank items and prioritize urgent tasks. List each item in the simplest format. Most people like to make lists. Hence, checklists have become widespread with its wide applications. 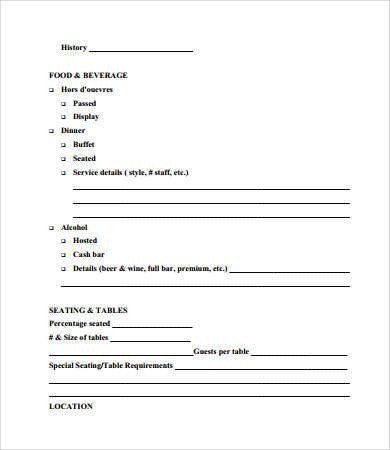 You can use an event checklist (we have event checklist templates ready for you to download and modify to suit your needs) when you’re handling a major event. 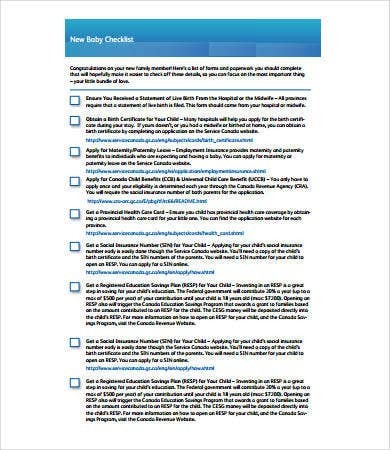 You can also use a new baby checklist to remind you of all the things you should do as new parents. 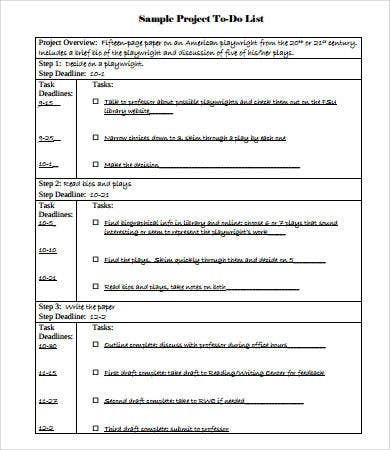 Making one seems to be an easy task, but to ensure you got all the necessary items or tasks needed written, you can download one of our templates. 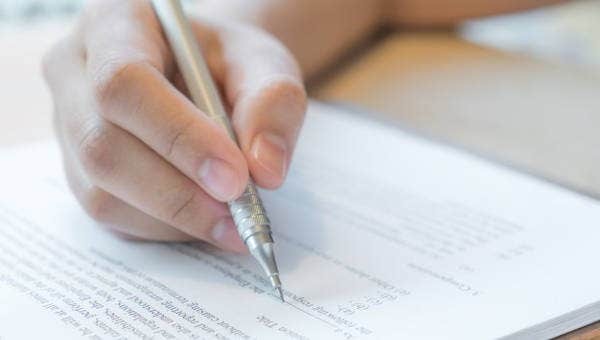 Every checklist template is carefully prepared with the an easy-to-understand format. These are readily downloadable, editable, and ready for your use. You can even have your own modified versions and reuse them on similar instances. Organize priorities. You can efficiently manage tasks now that they’re in a list. You can either have them ranked or scheduled depending on the task’s urgency. Manage productivity. With a definite agenda for the day, you can have them completed as targeted. Boost motivation. Completing a certain task encourages you to move on and accomplish your next task. Lessen stress. By forgetting less and achieving more, you can manage time better and even put more for yourself.